The pilot, 1st Lt. Victor Clapp, 28, of Beverly, Massachusetts, was killed when he ejected but his chute failed to open. He was survived by his wife, Dorothy, and two children. The radar observer, 2nd Lt. Aaron M. Jones Jr., 27, of Newtonville, MA, ejected safely. Jones landed in a wooded area south of the Mid-Cape Highway and made his way to the Rof-Mar Lodge. The crash ignited several large brush fires. 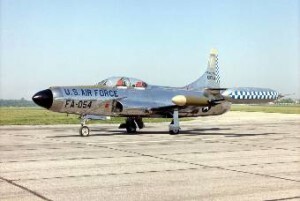 The jet belonged to the 33rd Fighter-Interceptor wing at Otis AFB. 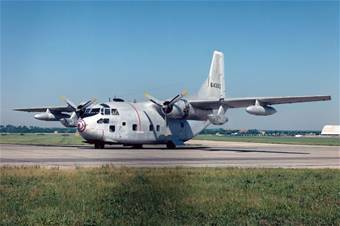 On the afternoon of July 12, 1951, Lieutenant’s Clapp and Aaron took off from Otis Air Force Base for a training flight to practice “ground controlled approach” (GCA) landing procedures. 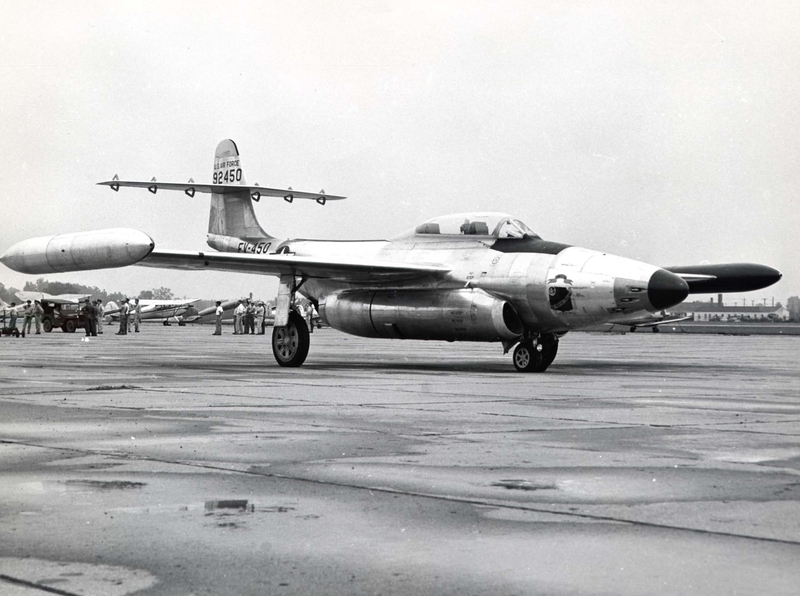 Their F-94 (#50-873A) carried a full load of fuel, but was not equipped with external wing tanks. After making two successful landings, the pilot attempted a third. As the F-94 approached Otis AFB intending to land on runway 23, it “flamed out” and crashed in a wooded area about 150 yards to the east of Mill Road, and south of Route 6. This location is gleaned from the official air force crash investigation report, and contradicts the vague locations given to the press, which was likely done for security reasons and to prevent souvenir hunters from converging on the site. Lt. Clapp was a veteran of WWII and earned his pilot’s wings March 2, 1944. At the time of his death he had recently been re-activated for active duty due to the Korean War. He’s buried in Woodlawn Cemetery in Acton, Massachusetts. On October 10, 1958, a C-123 cargo plane based out of Otis Air Force Base in Falmouth, Massachusetts, was returning to Otis from Miami, Florida, when a fire erupted on board while the plane was off the coast of Virginia. There was a crew of three aboard: the pilot, Captain Frederick W. Meyer, 29, the co-pilot, Captain Warren W. Swenson, 37, and Staff Sergeant Paul F. D’Entremont. Captain Meyer gave the order to bail out, and the three men parachuted into the ocean. Meyer and Swenson were rescued by a navy helicopter, and D’Entremont was pulled from the water by the crew of a Coast Guard boat. D’Entremont had suffered unspecified injuries, and was transported to the Portsmouth, Virginia, Naval Hospital, where he passed away. He had been assigned to the 551st Periodic Maintenance Squadron. 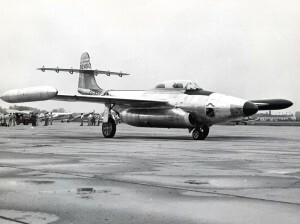 RB-57F. The U.S. Version of the English Electric Canberra. U.S. Air Force Photo. Shortly after take off LaRoche radioed Otis tower that he had an emergency and turned back towards the base. On his approach he crashed in the Forestdale section in the town of Sandwich, Massachusetts. The plane exploded and the major was killed. Major LaRoche was assigned to Ent Air Force base in Colorado Springs, Colorado, and had been on a cross-country flight. The plane crashed into the sea off the western end of the island. A commercial pilot flying in the area saw the plane go down, and said the Air Force pilot had made a deliberate effort to avoid crashing in the center of town. 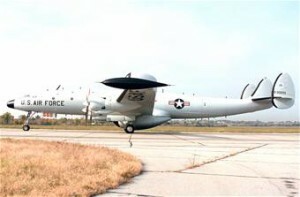 The plane was piloted by Col. James P. Lyle Jr., 47, commander of the 551st Airborne Early Warning and Control Wing based at Otis. Of the sixteen men aboard, there was only one survivor: the navigator, Lieut. Joseph H. Guenet, 29, of Montreal, Quebec. This was the second radar plane out of Otis to be lost within two years. The other went down in July, 1965, with sixteen lives lost. On the night of July 12, 1965, an Air Force EC-121H Super Constellation radar aircraft with a crew of 19 aboard, was flying over the Atlantic when a fire in one engine forced the pilot to ditch in the water. The Constellation broke up when it hit the water. The aircraft carrier U.S.S. 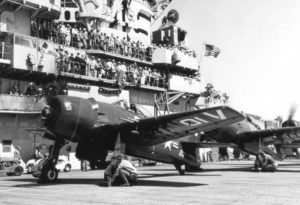 Wasp and several other ships were in the area on naval exercises, and immediately launched a search and rescue operation. Of the 19 men aboard, only three were rescued. Nine bodies were recovered. The other seven were listed as “missing, presumed dead”. 1st Lt. Bruce E. Witcher, navigator, of Redding, CA. Airman 1c John N. Puopolo, of Roslindale, Mass. Airman 2c David A. Surles, of Raleigh, N.C.
Capt. Murray J. Brody, pilot, of New York City. 2nd Lt. Fred Ambrosio, pilot, of Otis AFB. 1st Lt. Thomas Fiedler, pilot, of Davenport, Iowa. 2nd Lt. Ira J. Husik, navigator, of Philadelphia. Capt. Edward N. Anaka of Akron, N.Y.
Capt. Michael R. Barbolla, of the Bronx, N.Y.
T. Sgt. Gilbert T. Armstrong, flight engineer, of Newport, VT.
T. Sgt. Eugene J. Schreivogel, of Springfield, Colorado. S. Sgt. Raymond M. Washam, of Wilmington, Del. S. Sgt. Francis J. Griffin, of Toronto, Canada. S. Sgt. John L. Howard, of Sanford, PA.
Airman 1c George R. West, of Wyoming, Mich.
Airman 1c Charles K. Sawyer, of Anderson, S.C.
Airman 2c William E. Howe Jr., of North Augusta, S.C.
Airman 2c Charles H. Williams, of Worcester, Mass. Airman 3c Charles J. Podjaski, of Evergreen Park, Ill. The aircraft was assigned to Otis Air Force Base in Falmouth, Massachusetts. There is much more information available relating to this accident. To find out more, go to http://www.heinzalbers.org/aircrash.htm to read numerous articles from the Cape Cod Standard Times about this incident. Filed Under: Massachusetts - Military Tagged With: Atlantic Ocean Plane Crash 1965, Bruce E. Witcher, Charles H. Williams, Charles J. Podjaski, Charles K. Sawyer, David A. Surles, Edward N. Anaka, Eugene J. Schreivogel, Francis T. Griffin, Fred Ambrosio, George R. West, Gilbert T. Armstrong, Ira J. Husik, John L. Howard, John N. Puopolo, Massachusetts Aircraft Crash, Massachusetts Aviation Accident, Massachusetts Aviation Disaster, Michael R. Barbolla, Murray J. Brody, Otis Air Force Base Accident, Raymond M. Washam, Thomas Fiedler, William E. Howe Jr.
On May 8, 1957, Lieutenant Donald J. Flower Jr., 26, of Yonkers, New York, was killed when the fighter jet he was piloting crashed and burned upon landing at Otis AFB. He had flown to Otis from Shaw AFB in South Carolina. The exact type of aircraft wasn’t stated. Flower joined the Air Force in 1953 after graduating from Iona College in New Rochelle, New York. He was survived by his parents and four siblings. On the evening of June 24, 1956, a flight of three F-94 Starifre jets left Langley Air Force Base in Virginia, en-route to Otis Air Force Base in Falmouth, Massachusetts. 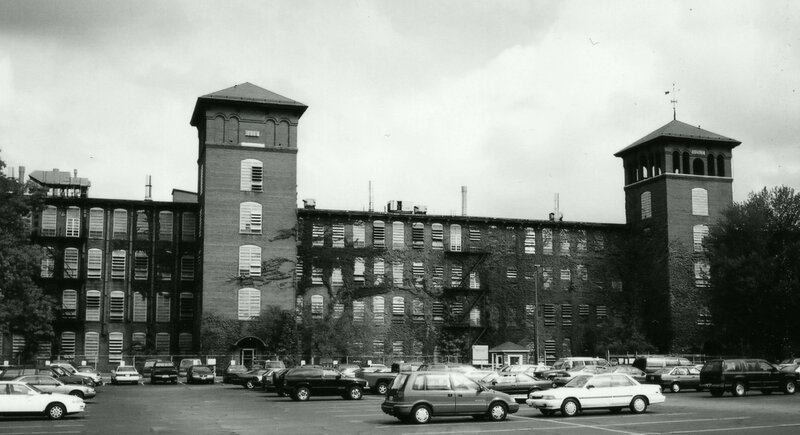 When they arrived at Otis they encountered poor weather conditions, and Otis tower held off their landing. As the F-94’s circled in a three-jet formation, two of the jets ran out of fuel and crashed into the sea. A Coast Guard helicopter out of Boston taking part in the search and rescue operations crashed in Boston Harbor where it encountered thick fog upon its return. Two crewmen were rescued, a third was lost. No names were listed in the source article. 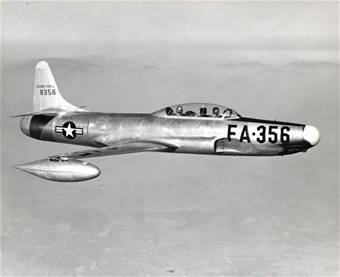 On August 10, 1952, a U. S. Air Force F-94 fighter jet piloted by Captain Hobart R. Gay, 28, took off from Otis Air Force base in Falmouth, Massachusetts, for a training flight. As he was returning to base, Gay radioed for landing instructions. Just afterwards, a Coast Guard watchman reported seeing his aircraft suddenly plunge into the water of Vineyard Sound and disappear. The crash was also witnessed by a Falmouth auxiliary policeman who reported he saw a “streak of light” drop from the sky. A search and rescue mission was immediately launched, but all that was found was an oil slick, and fragments of Captain Gay’s aircraft. His body was never recovered. Captain Gay was a 1946 graduate of West Point. He flew 105 combat missions in Korea, earning the Distinguished Flying Cross, and Air Medal with three oak leaf clusters. He was survived by his wife Jane, and his son, Hobart R. Gay III. 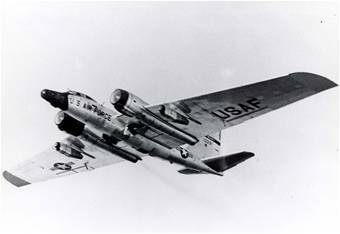 On October 9, 1951, a U. S. Air Force F-94 Starfire jet was coming in for a landing at Otis Air Force Base in Falmouth, Massachusetts, when a wingtip fuel tank, reported to be, “probably empty”, unexpectedly fell away and came down in a wooded area somewhere to the west of a traffic rotary on Route 28 in the nearby town of Mashpee, Massachusetts. The pilot estimated that the tank might have landed far enough to the west of the traffic rotary that it came down in Falmouth. A search for the missing tank was instituted, but as of October 12th it hadn’t been found. The tank was described as being about five feet long, cigar-shaped, and made of aluminum. Citicens with any information as to its whereabouts were asked to notify Falmouth police or Otis base. On November 6, 1958, an F-94 Starfire jet was taking off from Otis Air Force Base when both auxiliary fuel tanks unexpectedly fell from the wings, struck the runway, and exploded. The F-94, piloted by 1st Lt. Raymond Nishibayashi, managed to get airborne, and circled the base while ground crews put out the fires. Nishibayashi and his radar observer, 1st Lt. Allen E. Freiberg landed safely. Both men were assigned to the 60th Fighter Interceptor Squadron at Otis. 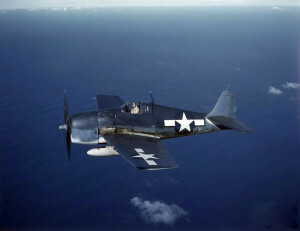 On the afternoon of July 9, 1954, air force captain Robert J. Fox was scheduled to fly a single-engine L-20 airplane on a routine training flight from Otis Air Force Base in Falmouth, Massachusetts. As he was lifting off the runway at 4:05 p.m., the aircraft suddenly lost altitude dipping its wing which caught the ground causing the plane to crash. Despite heavy damage to the plane, was no fire, and Captain Fox escaped without injury. Fox was assigned to the 4707th Air defense Wing as a communications electronics officer.